Some alarm systems are disabled if a burglar destroys the Control Panel. Crafty crooks try to smash the panel before it can signal an alarm. 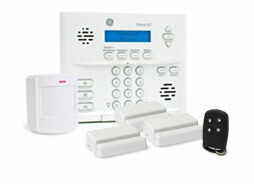 Safe n Sound's Control Panel instantly alerts the Monitoring Center that a burglary may be in progress. This is classified as a Pending Alarm, so unless you send the "all clear," we send help. 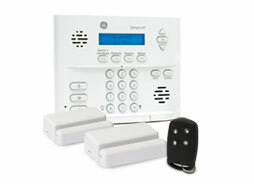 Receive notification any time there's alarm activity at your house. Choose alerts via phone, email or text, and find out immediately if any sensor detects trouble – whether it's intrusion, fire or a water leak. Alerts can also tell you when your family arrives home. The Geo Services feature also lets you customize notification rules based on your specific location. Imagine security so smart that it notifies you if your drive away without arming the system. Opt in to Geo Services if you want your alarm system to automatically know where you are, by tracking your mobile phone. The system will follow your customized notification rules, based on your specific location. 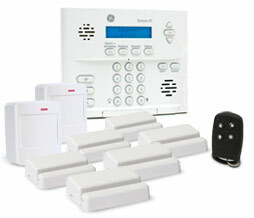 It's the simplest, most convenient way to manage your home security system! That is the ruSAFEnSOUND.com Way. 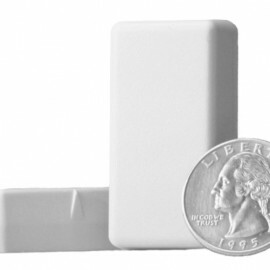 Now it's easy to turn lights and appliances on or off – from anywhere! FrontPoint's Interactive Monitoring plan includes automated light control. No more creeping around in a dark house, looking for the switch. Customization options let you create an on/off schedule or set lights to trigger automatically in reaction to a sensor alarm. We call this plan Interactive because we think communication should go both ways. You call the shots, from anywhere. If you can access the Internet, you are looped in with your security system. Check status, alarm history and visitor activity. Customize to suit your needs. In return you'll get instant notification if a sensor at your house triggers an alarm, or if you leave your "geo-fence" without arming your system. Security the way we want it, the ruSAFEnSOUND.com way. What's really going on at your house when you're away? See it with your own eyes, for the ultimate peace of mind. Our Motion detected Image Sensor will give you live pictures of your property to your laptop, PDA or smartphone. In addition, motion-activated triggers will proactively push pictures to you whenever someone moves at your house. ruSAFEnSOUND.com wants to make your life not only safer, but also easier. Our Ultimate Monitoring plan includes a full suite of Home Automation features. Now you don't have to actually be home to stay in touch. You can make lights go on, make doors open or lock, or control the thermostat to save energy. Do it all from anywhere, over the Internet! This Plan provides you the tools to make your home efficient and safe. After intial payment, you will be billed monthly for the monitoring service only. Cancel anytime by calling toll-free 888-371-SAFE. Looking for “The Works” Equipment Only with no monthly plan? Click HERE.